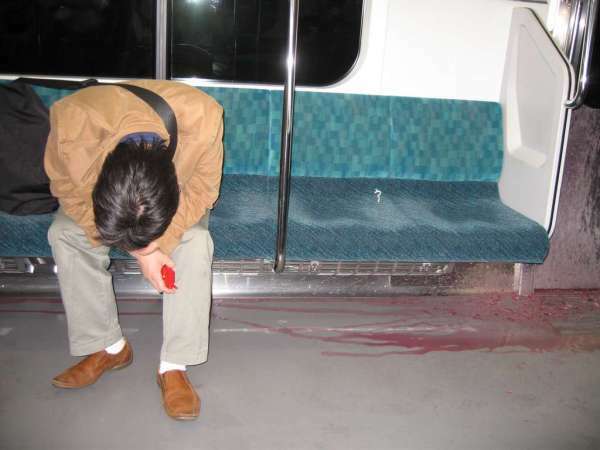 Very good vomit on a completely packed train in Tokyo. Fair bit of red wine in there, wouldnt you agree? I especially appreciate how he has got it all over the door - people would run and board the train and slip in it! I have those same shoes! I bought them in Chicago! That's how I make friends too. Yuck. I feel bad for the guy that did it, though. Must've been really embarrassed. My best friend did it on a bus, once.